Simply put, the 4GB Nitro+ RX 480 is a stellar take on a revolutionary graphics card. Every aspect of Sapphire’s card seems meticulously thought-out. It’s astonishing just how premium this card feels for its comparatively low price, especially considering it only costs $20 more than reference RX 480s. The programmable LEDs, attractive design, and metal backplate on the card helps Sapphire’s card ooze quality and class. The returning Dual-X cooling system isn’t quite as chilly as the insanely potent Tri-X system on pricier Sapphire models, but it keeps the Nitro+ RX 480 running cool while staying whisper-quiet the entire time. Even the altered port arrangement screams intelligent planning, replacing superfluous DisplayPorts with connections that buyers of a budget-friendly, VR-ready graphics card are more likely to actually need. The only minor hiccup lies in performance. 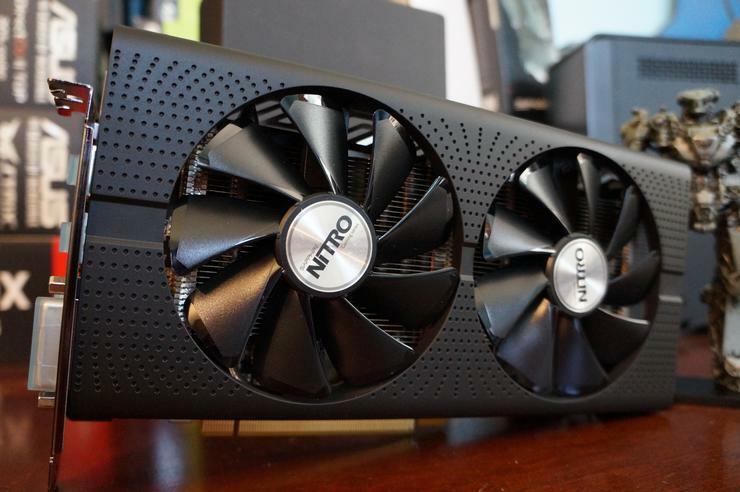 The modest out-of-the-box overclock in the 4GB Nitro+ RX 480 simply doesn’t move the needle much—though that limited overclockability seems to be more of a Polaris “problem” than a Sapphire one. That said, the minor speed increase provided by the Nitro+ RX 480’s paltry 40MHz speed boost is enough to bring the card more in line with the GTX 1060’s performance in our suite of games. Unless you need Nvidia’s extreme power efficiency, there’s little reason to buy a reference-edition $250 GTX 1060 when Sapphire’s superbly built Nitro+ RX 480 is available for $30 less. All Radeon RX 480s are a stellar option for anyone looking for a low-cost entry into VR, uncompromising 1080p/60fps gaming, or damned fine high-quality 1440p gaming. The Nitro+ RX 480 falls right in line with that general recommendation. We’d recommend picking up a FreeSync monitor to go with the card if you’re able, especially if you plan on 1440p gaming (in which case you might also want to consider the $270 8GB Nitro+ RX 480 for both its larger memory buffer and its faster clock speeds). Variable refresh rate monitors are magical: They make games feel buttery-smooth, drastically increasing your experience, and unlike Nvidia G-Sync monitors, FreeSync monitors don’t carry much of a price premium. You can pick up a 22-inch 1080p FreeSync monitor for as little as $130 on Amazon, or a blistering-fast 144Hz 1080p FreeSync display for $209 on Amazon. 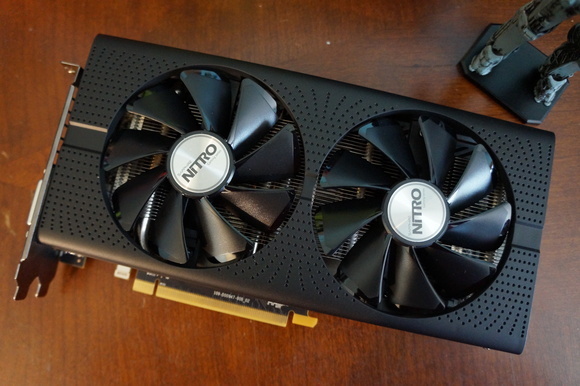 Again: Sapphire’s $220 Nitro+ RX 480 only costs $20 more than the reference model, and at that price it’s a hell of a steal. Taking in the gameplay boost, amazing build quality, and superb cooling solution, you’d be mad to opt for a reference edition of either the RX 480 or the GTX 1060 over this card. That might not necessarily hold true for the untested $270 8GB version, which provides a heartier overclock but also falls firmly into custom GTX 1060 territory. But the 4GB model that we’re reviewing today earns our unequivocal buying recommendation, especially if you’re gaming on a 1080p monitor. The 4GB Nitro+ RX 480 is a damned fine and damned affordable version of an absolutely amazing graphics card. Sapphire’s setting the bar high for custom RX 480 models with this card’s quality and price—especially if achieving sky-high overclocks continues to be a pipe dream with Polaris, thus limiting it to higher-end custom cards.